66th Ernest Hemingway International Billfishing Tournament - scheduled for June 13, 2016. 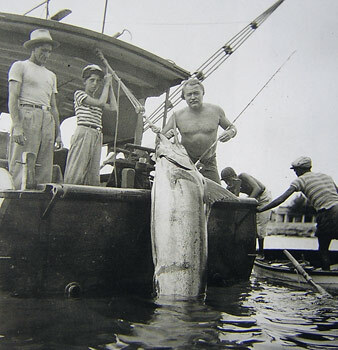 Hemingway with large Marlin caught in Cuba. Held at Marina Hemingway, 9 miles west of Havana, the Hemingway International Billfishing Tournament hosts fishermen from around the world in pursuit of marlin and other large deep sea fish, including tuna and wahoo, using 50-pound fishing line. First held in 1950, this year's tournament marked its 60th year in existence. For four days, fishermen will battle with large ocean fish - as Hemingway did. This is a tag-and-release tournament. On May 26, 1950, 36 of the best fishing boats of Havana sailed through the channel of the Castillo del Morro, situated at the entrance of Havana harbor, in search of the Gulf Stream. One of them was "Pilar", owned by Ernest Hemingway, who participated in this first tournament representing the International Yacht Club de La Habana. A group of fishermen proposed to name the fishing tournament with his name, in respect of Hemingway's passion for big game fishing. Hemingway not only agreed, he won the cup for the first three tournaments. 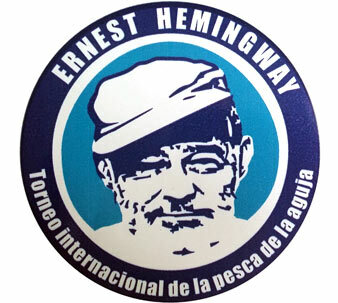 In 1959, Hemingway moved to Idaho, but returned to Cuba in 1960 to receive an award at the 11th International Tournament Hemingway, held at what is now Marina Hemingway. In 1961 and 1962 tournaments were not held due to the serious tension between Cuba and the United States, culminating with the Bay of Pigs invasion. In 1963 the tournament resumed, but only on a national basis, and was run that way until 1977. In 1978, the tournament began inviting international participants. With the foundation in 1992, the Hemingway International Yacht Club of Cuba (CNIH of Cuba), the Hemingway tournament has found new inspiration. The tournament promotes good relations with fishing clubs and fishermen - encouraging the participation of sport fishing and spending time protecting the environment and species. In 1997, with the help of the Billfish Foundation and the direct involvement of Mr. Ralph "Agie" Vicente, Representative of the Billfish Foundation for the Caribbean, HIYC Commodore Jose Miguel Diaz of Cuba Escrich introduced the method of tag-and-release to the Hemingway tournament, which has helped save hundreds of billfish. The Ernest Hemingway International Billfish tournament is considered one of the oldest big-game saltwater tournaments in the world. Bring your own boat/equipment: 450.00 CUC per team from 1 to 3 anglers and 100.00 CUC per an additional angler. Registration fee includes free mooring if you come on your own boat, personal invitations for the Welcoming Cocktail, Closing Dinner and Awarding Ceremony for the teams. Rent boat/equipment: Prices start at 2,500.00 CUC. Included are captain and mate, fishing tackle for every angler, baits, fuel and snack. Prizes: Medals and trophys for 1st, 2nd, and 3rd place. Prize for largest fish and largest dolphin fish (dorado/mahi-mahi). Visa: Entry visa will be available at the entrance to Marina Hemingway. Call the port captain using VHF Channel 16 up approach.